Los Angeles 2024 has announced that three major North American sporting leagues have given their support to the Californian city's bid for the Olympic and Paralympic Games. Major League Baseball (MLB), Major League Soccer (MLS) and the National Football League (NFL) have joined the National Basketball Association (NBA) and the Women’s National Basketball Association (WNBA) in showing support for the bid. Los Angeles 2024 claim their Games Plan is designed to ensure all sports are able to tap into the United States' $250 billion (£196 billion/€223 billion) sports market. The bid will aim to utilise the leagues' connections to existing fan-bases and the global youth market, as well as their expertise in sports presentation, to "encourage a new generation of Olympic and Paralympic believers". In addition to the leagues' support, it is claimed Los Angeles 2024 will benefit from the insight and experience of professional team owners and executives. It is claimed partnerships with the leagues will also help Los Angeles 2024 ensure the field of play for the athletes is always "state-of-the-art for all competitions", as per recommendation 2.3 of Olympic Agenda 2020, the International Olympic Committee's (IOC) road-map for the future. A decision on who will host the 2024 Olympic and Paralympic Games, which sees Los Angeles battling French capital Paris, is due to be made on September 13 at the IOC Session in the Peruvian capital Lima. 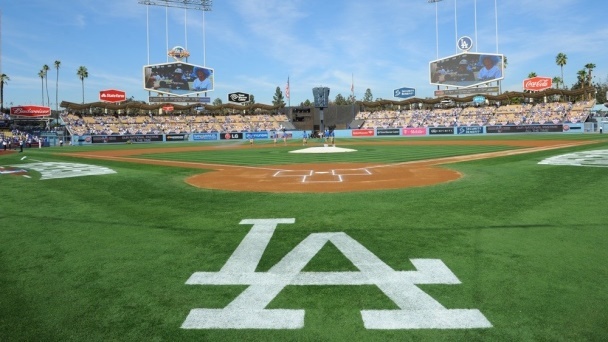 Robert D. Manfred, Jr, the commissioner of MLB, added: "Major League Baseball strongly supports the bid by Los Angeles to host the 2024 Olympic Games. Los Angeles is known for its diverse culture, rich sports history and beautiful weather and would be the perfect location for the Olympics and Paralympics. "I wish success to everyone associated with the effort to bring the Games back to Los Angeles."